Black. Darkness. Is there any other way to describe the thing I see in front of me all the time? I can&apos;t see anything. I can hear people but I cant&apos;t see them. I hate it. I want to take the blindfold off. But then I remember that I am not wearing a blindfold. I am dead. At least that is what I think. But then I hear. "I&apos;m so happy it worked." Wait, is that Nat? Are they all here? I have to wake up. Then I feel someone grab my hand. They hold it for awhile. Then I feel their warmth slip away. And then I hear the door open. "Steve, you need to go home for a little while." Clint (I think) says. "No, I didn&apos;t protect her before. I have to now." Steve says. Steve thinks this is his fault? No, absolutely not. It is my fault because I froze. I saw David and every memory I ever had regarding him was thrown back into my head. And I payed the price because I froze. Then I feel someone grab my other hand. "Rach, it&apos;s me. Clint. I know you probably can&apos;t hear me but if you can, you gotta hear this. Steve is a wreak. He needs you. Rach, you gotta live, for him. And for me and Nat. We aren&apos;t your friends anymore. We are your family. It is really different with the group without you. There is no light in the room. I love ya Rach. You are the best little sister anyone could ask for." He gives my hand one last squeeze. I squeeze back. "Rach, can you hear me?" I squeeze again. 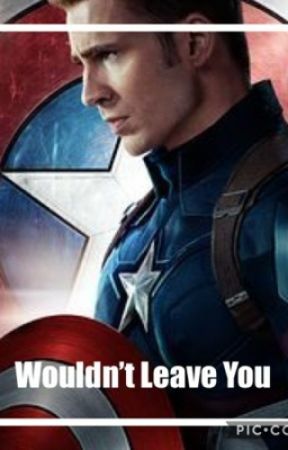 "Do you like Steve?" he asks. I don&apos;t squeeze. He laughs. "So, you aren&apos;t giving that up yet." I squeeze twice. "Can you open your eyes?" he asks. I try. "Try again." he says. I try and my eyes fly open. The lights are blinding. I blink a few times to clear my eyes. When my eyes are clear, I turn my head to face Clint. "There she is." he says. "Hi." I say hoarsely. "How long was I out?" "Only a few weeks." he says. "Weeks?!" I say. "Wait, how am I not dead?" "Bruce injected you with Steve&apos;s blood and..."
"Steve," I say worried. "Was he hurt? Where is he? Get him now." Clint pulls out his phone. "You still have a flip phone?" I say while laughing. "Hey, I don&apos;t get out much." he says. "Even Steve has a smart phone!" I say. "Well, I have no comeback for that." he says while putting the phone up to his ear. "Hey Steve, get down to the hospital." he says. "Because Rachel woke up." he says, and then takes the phone off of his face and looks at it, confused. "Steve just hung up on me." he said chuckling. "Hey, while I wait here, can everyone else come in?" I ask. "Yeah, but we should get your nurses in here first." As soon as he says that, the nurses almost bust down the door. Bruce trails in behind them. "Hey Bruce! How&apos;s it going? Why was I out for a few weeks?" I ask. "Well, when I injected you with Steve&apos;s blood, your DNA and cells started to morph with his. It took your body a few days to get used to the new DNA. Then the healing had to kick in to help replenish the massive amount of blood you lost. Then your body started to run off of the new cells. So, a few weeks." "So does that mean that I heal as fast as Steve?" "Well, it hasn&apos;t been tested but theoretically, yes." Bruce finishes. The nurses look at my vitals and brain waves. By the time they are done with the check up, the news travels to Clint, Nat, and Tony that it is alright to come and, visit. "It&apos;s nice to see those eyes again." Tony says. "Guys, I was in here when she woke up!" Clint says. I giggle, but wince. "Bruce says you&apos;ll be a little sore for a few days." Nat says, "So don&apos;t do anything incredibly stupid." "How can I? All the stupid stuff happens when Clint and Tony are in the room." I say with a smile. "Hey!!" They say in unison. "O, come on. You guys know I love you! But your still stupid!" I say, while Nat and Bruce laugh. "Am I too late?!" A new voice asks. Everyone turns around and looks at the newcomer. It&apos;s Steve. "Hi Steve! It is so good to see you!!" I say. "Let&apos;s give the Capsicle and Mini Stark some privacy." Tony says. "Thanks, Tony." I say while chuckling, clutching my stomach and rolling my eyes. When they all clear out of the room, Steve starts. "Rach, I&apos;m so sorry I wa..."
"Steve sit in the chair." I point to the one that is sitting right next to my right side. "Steve, you need to listen to me. This was completely my fault. I froze, I never do that. I could have easily pulled out my gun and shot both of the men that were there. But I didn&apos;t. I just stood there, like the little 16 year old me did. Everything came rushing back, and it hit me like a ton of bricks. I basically watched them try to kill me. And knowing that I might have never lived through that, I just..." I start to tear up. Steve takes my hand. "You did the right thing, turning on your com. Then S.H.I.E.L.D. and I knew where you were. And I&apos;m glad you gave me directions, because that was a big house." I chuckle, then wince again. "I&apos;m just glad Clint was is here when I woke up." "Well, before I could hear, my brain started again. My first thought as of you. Where you were. Then I though about Nat and Clint. 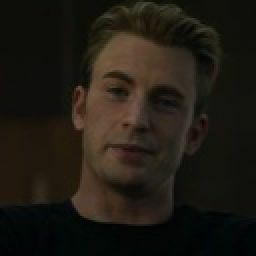 I thought &apos;If Steve isn&apos;t here when I wake up, I want it to be Clint or Nat.&apos;"
"They have seen me at my worst point. They were in the STRIKE team that took me out of David&apos;s house. Before the big mob came, Clint and Nat came in to find me. Clint found me first. He told me who he was and why he was there. Then Nat showed up and did the same thing. By then i was crying and the burns on my legs were so bad that I could barely walk out. So they carried me. On the way back to base, they talked about some situations that they have been in that were similar to mine. And from there, we became friends. But now, we are more like siblings. Them being my older brother and sister that I never had." I say. I pause and we enjoy the silence. "Rachel, I am sorry, for anything that has caused you pain or suffering. I know I wasn&apos;t apart of it, but..." I cut him off. But not with any words. A/N: Hey ya&apos;ll! Yay, finally some romance (ish). This chapter was so great to write. It was so sweet too. COMMENT A SHIP NAME!! I have no idea what it should be so. YAY!! !